In past posts, we have looked in great detail at the benefits of getting your documents scanned by document scanning services to create a paperless office space but we haven’t focussed on the companies (like Pearl Scan) who offer these services. So, if you are thinking about getting your documents scanned but haven’t looked into it in great detail, then here is a quick and simple ‘how-to’ guide to help you pick the right document scanning services company for your needs. Believe us, it has happened a lot and we always ensure that our customers are going to be satisfied before we promise anything. So, in a way, not only is this a guide on what to look out for when seeking out document scanning services, it’s also some of the things we have learnt along the way thanks to our clients. Always give them a call to check on how they can deal with it. A lot of clients contact via email which will then usually prompt a call by one of our sales reps but this gives them a little more time to prepare. If you really want to test the strength of the company and their knowledge, call them yourself and see how easily they deal with your questions. Those with the most experienced and knowledgeable staff will be able to handle your requirements without a single problem and should be able to give you some kind of an estimate fairly quickly, if not on the phone itself. Stay in control and then let them do the talking. Judge how much confidence they are talking with. Companies that offer document scanning services should welcome you with open arms if you request to come and see how the work is carried out. This shows that they know what they are doing and have a good set up and should show you around while letting you know about the process. Some might deem it a little cheeky to request to visit, but at the end of the day, you and your company are making an investment, one that could save you so much more in the long run, so you want to make sure you go with the right services for you. Credentials and accreditations are incredibly important in this market. The big one to look out for is the ISO 9001:2000. This is awarded to companies who exceed in excellence when it comes to producing high quality work and accurate results. These are monitored by the ISO auditors themselves as a third party. It’s very much a coveted award and not one that many successfully have and retain. The other major one in this industry is the ICO. As certified members of the ICO, a company is assured to not release any of your data into the public domain and strict procedures are put in place to work with this. This means that all of your documents will be dealt with in a secure way. Pearl Scan Solutions has these awards and has had them for some years now. Ask about their security or ask to take a look when you pay a visit. Even if you have documents that you wouldn’t deem all that delicate to be seen by others, always try to go with a company with good security. It’s a good investment and good common sense should the worst happen. 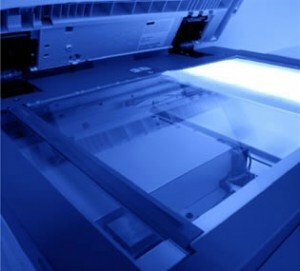 Those are the top five things to look out for when hiring out a document scanning service. We don’t like to blow our own trumpet, but Pearl Scan passes all of these easily and this is why we are trusted by so many companies in the UK.